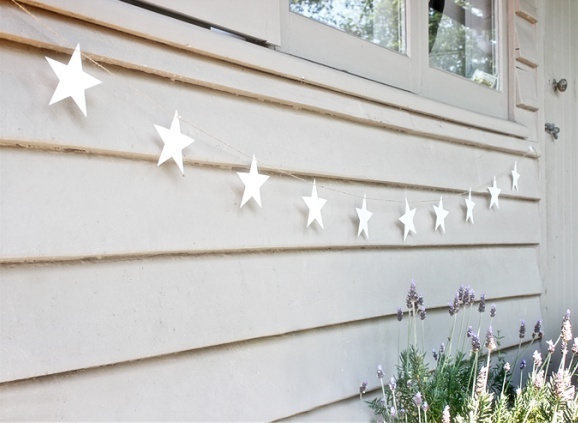 Contains 23 individually hand-crafted stars, This simple paper star garland is the perfect way to add some interest to any room! With a thin white string threaded through them all together and enough either end to tie, these garlands are just stunning. These look pretty draped over a shelf or mirror, but would also be lovely tied either end of a curtain pole to add some interest to any window. Whatever you choose to do with this garland it is bound to look simply beautiful!